Latest iOS bug mobile device management (MDM) bypass. There’s a new iOS 11.x bug to remove MDM profile from any iPod, iPad and iPhone. This new tactic will completely eliminate any remote management profile from a local iDevice. Past 6 months UnlockBoot team discovered 3 major bugs for iOS 11.x – Apple fixed those bugs really quickly, but with the latest bug hunting, there’s proof that when Apple adds new functions to device it also makes them more error-prone and unstable. iOS 11 lock screen bypass bug. iOS 11 iCloud unlock via 2 factor authentication. 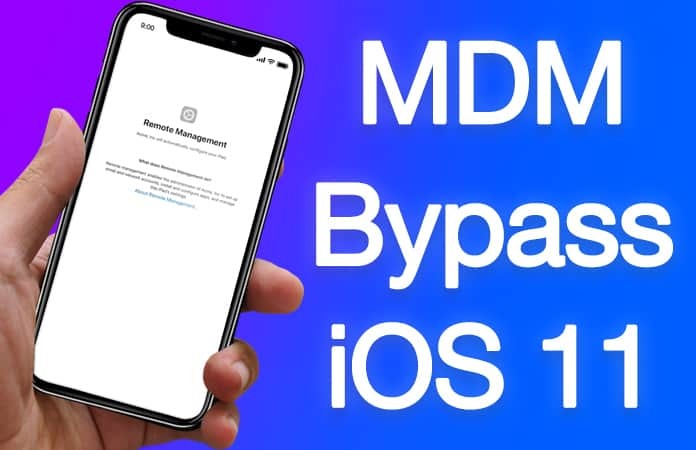 iOS 11 MDM bypass bug. iOS 11 bug MDM lets users bypass mobile device management in the simplest manner. It works for locked MDM devices only, and doesn’t work for iCloud locked devices. Restore iPhone to iOS 11.2.6. Put Sim card in it and use 4G network, not WiFi. After activation, take out SIM card once activated – it is because you want to disconnect 4G. Press back button, can’t download profile will come, pass it. Pass set touch ID and password settings – don’t enter anything. Press next for downloading page profile. Insert ism again to connect to 4G and download profile file. After profile file download completes, press “Back” again – don’t press next. Press Back button passcode settings page and select don’t use the passcode, now enjoy mdm bypass on iOS 11.2.6. This bug is quite similar to iOS 11 iCloud bug and can only be patched by updating ipsw firmware. So it can be patched if you update to iOS 11.2.x or any iOS 11.3 new version.